EAST VILLAGE, Manhattan (WABC) -- The NYPD is investigating a mysterious death after a woman's body was discovered in the East Village on Wednesday afternoon. 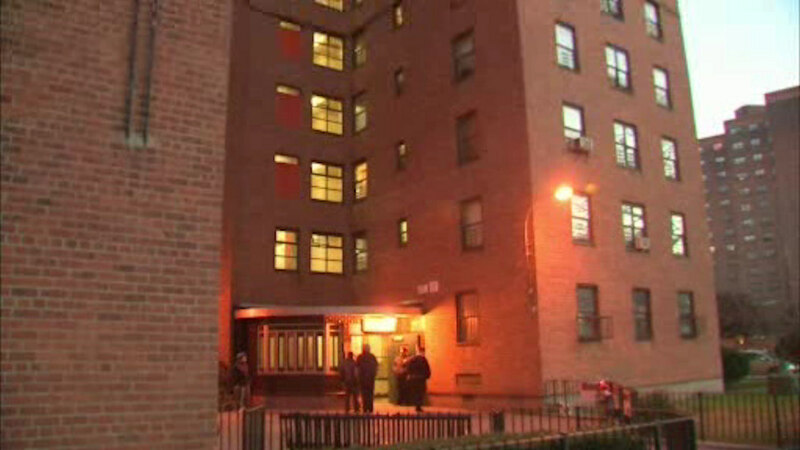 Police say that a 27-year-old woman was found dead inside an apartment at the Wald Houses on Avenue D.
A source tells Eyewitness News that a friend of the victim found the door of the apartment ajar, with a trail of blood leading to the bed. The victim was found lying on a bed covered with a blanket and a scarf around her neck. A man is being interviewed by detectives in the woman's death, but no charges have been filed. Police are withholding the identity of the victim pending notification of her family.